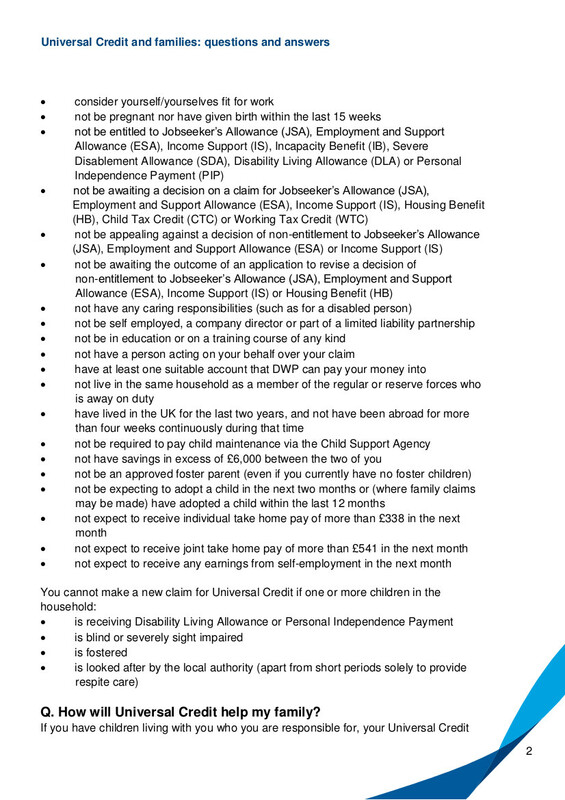 Lone parents are not able to remain on Income Support after their youngest child reaches 5 unless there are other eligibility criteria for IS, and a proportion of single parents at this stage will make a claim for Jobseeker’s Allowance instead. I am happy to be corrected but it seems to me that in SOME cases this will result in a claim for Universal Credit rather than JSA. The majority of lone parents coming off Income Support WON’T see any change because Universal Credit still hasn’t reached many JobCentres. You can check for your postcode here. Moreover, even where Universal Credit HAS reached a particular JobCentre, this is usually only for single people who don’t have children, and every time a new list of JobCentres is announced for Universal Credit, it’s made clear that this DOESN’T apply to families. The current position is that no new JobCentre starting with UC after February 2015 will take claims from families. However, in JobCentres which have already been handling straightforward Universal Credit claims for a while, the Government now expects claims to be processed for parents as well. This will apply equally to single parents as to couples with children. 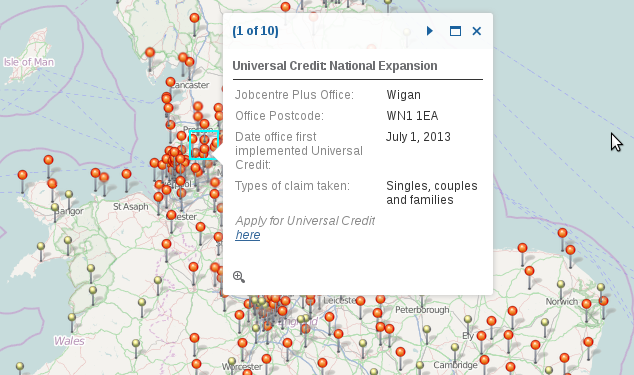 If you look at the interactive map here you will see a cluster of orange pins in the North West which was the first area to take Universal Credit claims. The remainder of the orange pins are more scattered. 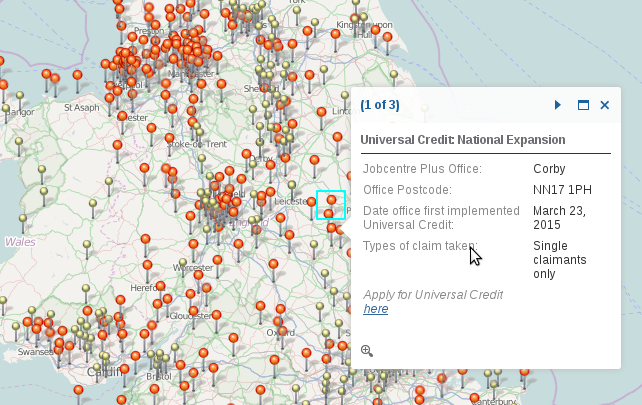 Clicking on an orange pin in the North West brings up a text box saying claims are taken from families. This is tied to the early date when UC was introduced. Clicking on an orange pin elsewhere will most likely show a text box saying claims are only from single people. Again this is a consequence of the start date of Universal Credit in the particular JobCentre.